The 32nd Annual Art Deco Weekend Festival happens this coming weekend in Miami, Florida at the Art Deco District. 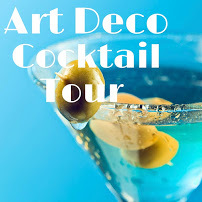 The theme this year is Deco-Vino-Tango and revolves around the Argentinian Deco Arts. Art Deco Weekend festival is hailed as one of the most popular, entertaining while educational and family and wallet-friendly events in all of Miami. Where else can you enjoy films, lectures, musical and dance performances, exhibits all for FREE? Only at Art Deco Weekend Festival! To place you in the right setting, travel in time to Buenos Aires, through films like Down Argentine Way featuring Betty Grable and the introduction of worldwide phenom--Carmen Miranda. 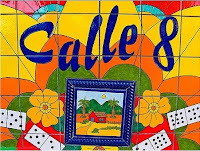 Then stroll down Argentinean Way, located on 12th Street in between Collins Avenue and Ocean Drive, sip a beverage on the streetside cafe and spectate the ambling characters depicting the Argentina of the glamorous 1930's Art Deco period. A new event which launched three years ago has gained attention from "secondary" residents of Miami--the Arf Deco Promenade. That's right! Locals and tourists can bring their dogs to this outdoor event at Dogtown and enter their four-legged family member into the costume contest. Dog vendors will giveaway canine paraphernalia and costume contestants can win select prizes. 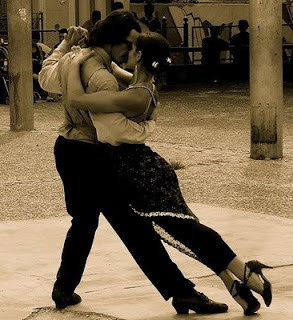 Experience evocative sounds of Tango music and the sultry passion of the Tango dance interpreted by dancers of the Tango Times Dance Company. These fabulous performances take place at the stage on Argentine Way. To appreciate the event, it helps to know the history of Art Deco--the origins from the World Expo in Paris, France of 1929 and other influences that glamorized this period in time. It is highly recommended to take the walking tour to learn about the art, architecture, history and more. The Miami Design Presevation League (the organizers of Art Deco Weekend) is offering tours throughout the weekend for $20 person every hour. Tours start at the intersection of 10th Street and Ocean Drive. Don't miss this cultural event right here in perfect-weather Miami this coming weekend. For a complete listing of events, click here for the Art Deco Weekend festival website. This sounds like a wonderful event. 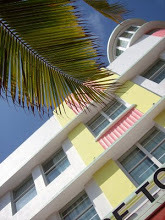 I love Art Deco style of Miami - it's like nothing else I've seen before in other U.S. Cities. It's good to know the preservation league holds these types of educational activities that anyone can participate in.